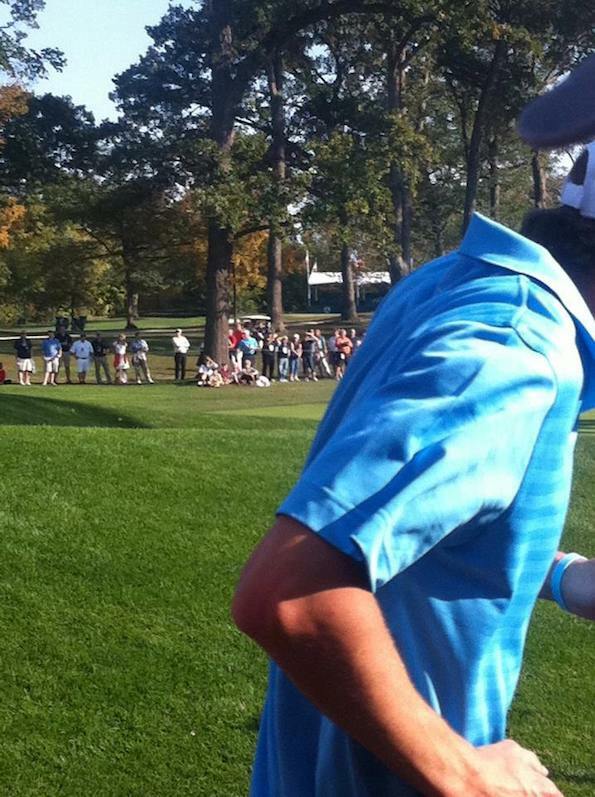 Justin Timberlake during celebrity practice rounds (PHOTO CREDIT: Scott Tracy). The 39th Ryder Cup Matches will be held September 28–30, 2012, at the Medinah Country Club in Medinah, Illinois, United States. This is the first time that the Ryder Cup will be held in Illinois. 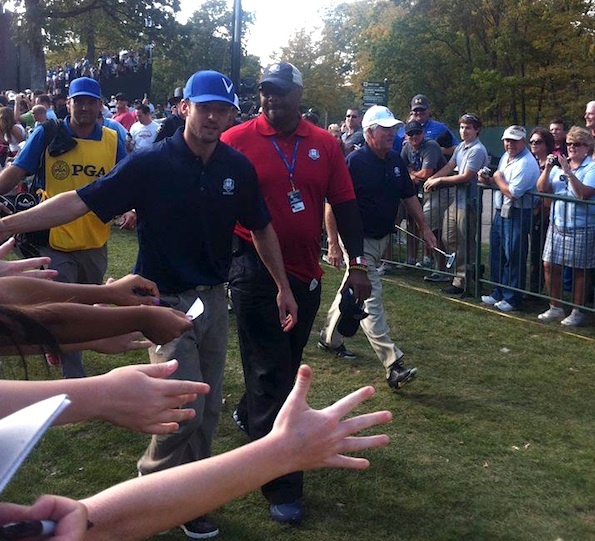 Play begins on Friday, but practice rounds began today, September 25, 2012. 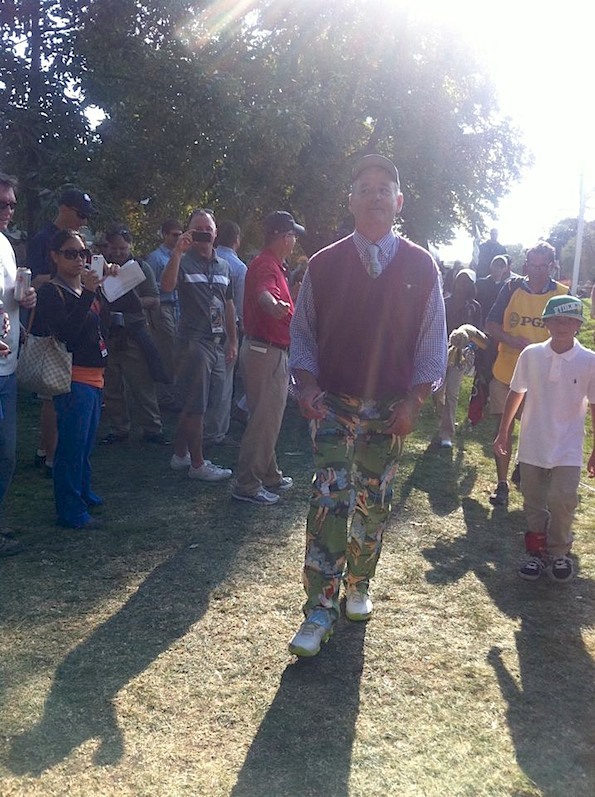 The presence of Bill Murray from the glare of sunshine, or of pants (PHOTO CREDIT: Scott Tracy). Olympian Michael Phelps (PHOTO CREDIT: Scott Tracy). Michael Phelps — fast on land, too (PHOTO CREDIT: Scott Tracy).